Insect and caterpillar are a common threat in aquaponics setup just as in any garden. When you do aquaponics, most of the time people automatically thought it is organic. To be honest Aquaponics and Organic are two different things. A setup can be aquaponics and organic at the same time if its follow the strict organic farming or gardening guidelines. 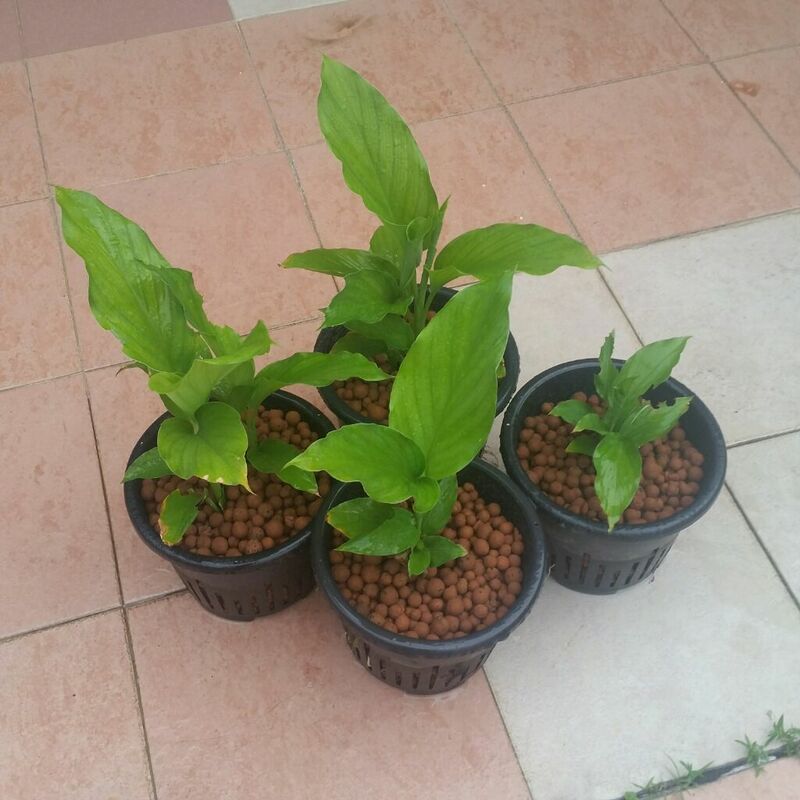 However it will be difficult if you are just starting out on aquaponics and at the same time trying to follow the organic requirements due to too steep a learning curve. 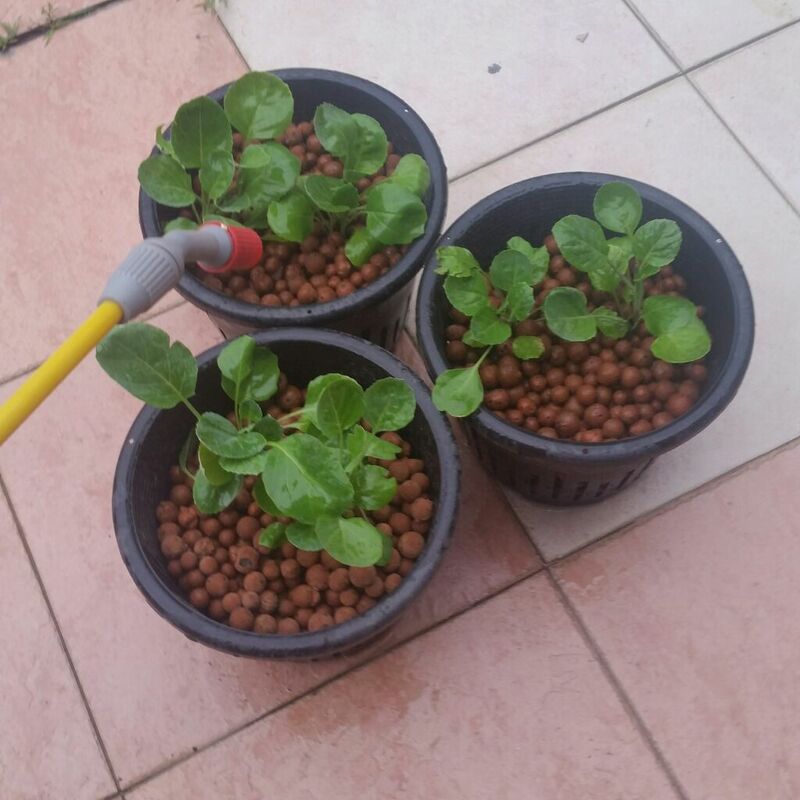 Those that has practice either aquaponics or organics for a long period of time then it will be an easier process, especially if they are already practising Organic gardening. I had tried various organic spray to control bugs, caterpillars etc, none seems to work therefore I use non-organic insecticide to get those under control. Some aquaponics purist may not agree with this, but it's okay. Everyone are entitle to their own way of doing things. I had use non-organic insecticide as a direct spray onto the plants in my growbed, and so far I do not have any fish killed. I follow strictly to the instruction on the label, observe all precaution and most of the time I will use a more diluted mix. A safe way to apply non-organic insecticide is to apply them away from the growbed, this is easy if you have plants grown in pots where they are easily move to a safer environment for spraying. Even through I practice direct spraying onto growbed plants, those plants that in pots I'll spray them away from growbed and the fish tank. This is how I practice using non organic insecticide, I'm not in any way recommending or endorsing any particular chemical, poison or manufactured product for use in the Aquaponics practice. Any usage of any poison or chemical is solely at your own risk.